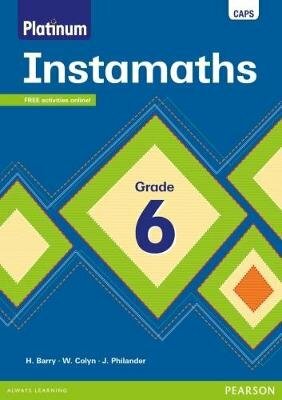 Platinum Instamaths is a carefully graded book of Mathematics exercises designed to promote mathematical practice and understanding in a fun and easy way. It is a structured way for learners to practise and consolidate their Mathematics skills as they fill in their answers in the spaces provided in the book. A complete set of answers is provided in the centre of the book so that Platinum Instamaths can be used by learners for self-study. This new edition of Instamaths is packed with new exercises and has been updated to align with the South African Curriculum and Assessment Policy Statement (CAPS). The material covers all the required Mathematics concepts and skills, ensuring that the level is appropriate and that adequate progression occurs.